Forrest Creative worked on Illustration and logo design for the Cat Capers Board game released in late 2015 by Cheeky Parrot Games and Skybear Games. Imagery used was fun and friendly to suit players aged 8 and upwards. A distinctly kiwi feel was applied to elements including cover art, playing cards and the game board itself. Catching a rat, summoning the fire department, and sneaking into someone’s house might not be your idea of a good time–and in the latter case may even constitute a felony…unless you’re playing Cat Capers! 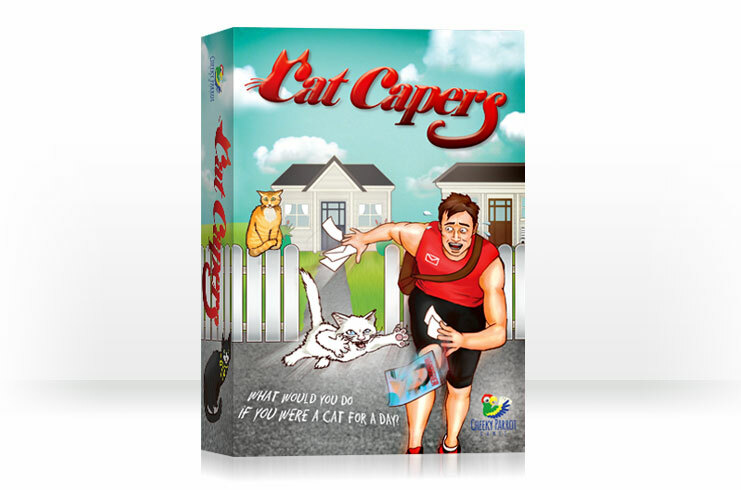 For more information on Cat Capers visit the official site.